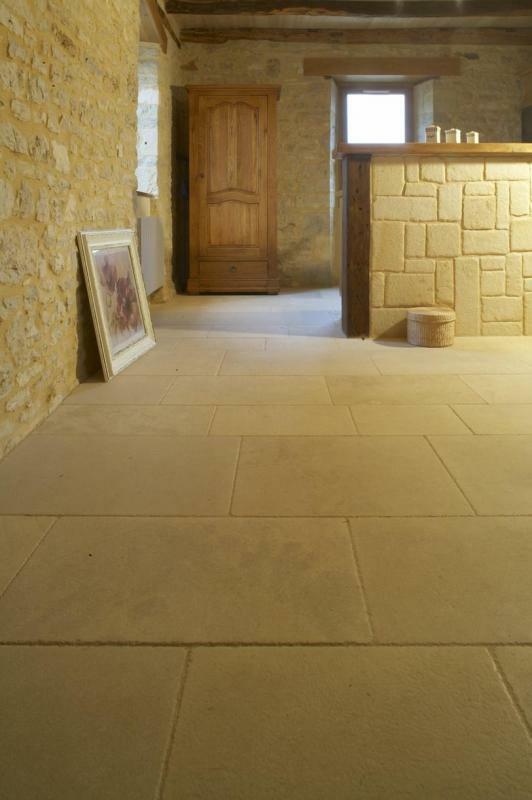 This stone is predominantly light Beige and fairly uniform. However it has a wealth of detail: shells, ribs, occasionally some fine cloudy veins in a tan yellow hue. It gives a cozy atmosphere in a rustic interior and ideal in contemporary homes when looking for a refined atmosphere.